German Chamomile Flowers are traditionally brewed into a soothing tea. 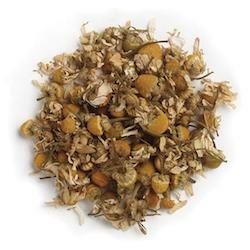 Chamomile is flavorful, comforting and gentle. Chamomile is used as an ingredient in skin care creams and lotions, relaxing bath blends and shampoos and conditioners for light-colored hair.